Looking to upgrade your wireless routers at your home or on campus. 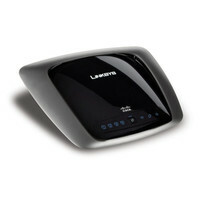 Here is what you need a Cisco-Linksys WRT310N Router. What this router has, is Gigabit port and wireless N. This is great for transferring files locally (1Gps Speeds) or wifi (150-200mbps). STOP! , I only recommend this to those who have any experience in “flashing firmware”. I’m not liable for how you use this information. To turn this cheap refurbished router into a high end business router just follow these steps. Method A) While on, push and hold down the reset button continuously for 30 seconds, unplug the power while continuing to hold for another 30 seconds, then plug back in while continuing to hold reset button for a final 30 seconds. (90 second button hold-down time). 2. )Here you have to wait about 2-6min, that’s if your router isn’t giving you a ip address. Go to http://192.168.1.1/ and you’ll see a “management” page with two options, to upload a new firmware and Reset NVRAM, Click ‘Reset NVRAM’ Wait a few seconds and then reset the router with the method that worked for you. It might say ‘NVRAM Default’ same thing. If you don’t see this redo step 2. 3.) Do another Hard Reset what every method worked for you earlier. 5. )Using the Linksys Menu, Go to Administration > Factory Default. Reset to factory default settings. 6. )Using the Linksys Menu, Go to Administration > Firmware Upgrade. Select the firmware you downloaded earlier Here. 7.) Now wait and it should reboot, once it reboots DD-WRT. Now Using the DD-WRT Menu, Go to Administration > Factory Default. Reset to factory default settings.